General Finishes wood finishes protect and beautify home and commercial furniture, cabinetry, and decorative interior woodwork. An industry leader in developing some of the first waterborne and "green" wood coatings, General Finishes paints emit less odor, eliminate messy solvents, and are easier to apply. 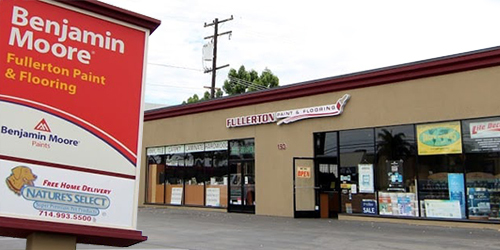 As an authorized independent dealer, Fullerton Paint & Flooring carries one of the largest inventories of General Finishes products in Orange County. Our selection includes glossy, semi-glossy, and flat finishes. While white and clear finishes are most popular, we also offer finishes in a variety of prepackaged and custom colors. Come visit our paint store in Anaheim today to learn more, or call ahead and place an order for pick up or delivery.